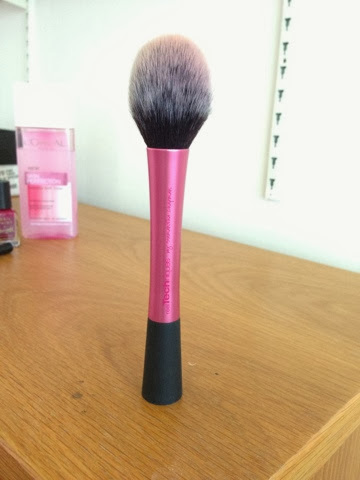 The first product I've been loving is the real techniques blusher brush. I do usually use it for blusher as its really easy to apply with. However this month I've been using it to contour with and I'm loving it for that job! Even with the softest of strokes, it applys the bronzer really easily. Would definitely recommend this brush! 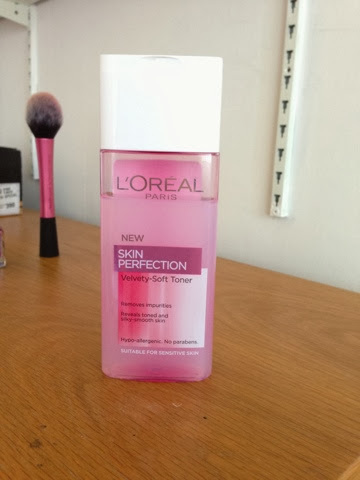 The next product is the Loréal skin perfection toner. I picked this up because I was on the hunt to try out a new toner. not going to lie, this toner is amazing! Every time I use it, day and night, my skin feels instantly refreshed and it actually feels like it's doing something to my skin, which other toners lack. It leaves my skin feeling ultra soft and as if all the impurities have been taken away! It's such amazing value for the price of £4 and if smells lovely which is a great bonus! 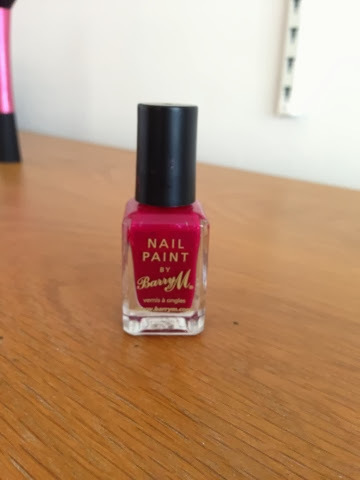 My nail polish fave of the month is this Barry m nail polish in this burgandy shade. I love wearing this shade in the autumn because to me burgandy is a very autumnal/ fall colour! As usual loving the lasting power, the consistency and the price! 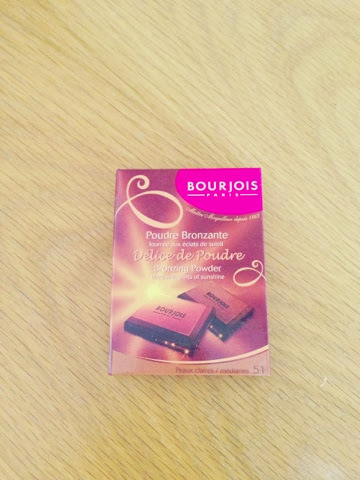 The next product which has been hyped up in the beauty world is the borjouis chocolate box bronzer! As its autumn time, I wanted to use a bronzer which will warm my skin up as I look paler in the colder weather due to my tan fading. Therefore, I've been loving this to give my face a bronzy glow this month. Also it's a nice bronzer for a contour as it has a slight shimmer meaning it could be seen as a slight highlighter too. However as it has orange under tones, if too much is applied it can look slightly orange. Overall I'm loving this product and it has a lovely smell! 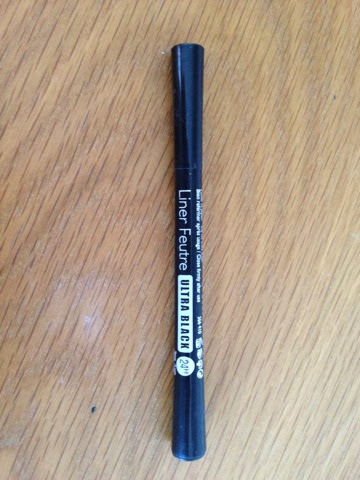 The next product is the bourjois felt tip liner. This eye liner is amazing! It's jet black and works a treat! The felt tip applicator makes it easy to apply and the lasting power is all day! The pigmentation gives a very sophisticated look due to it being true to the colour. If you want a good drugstore eye liner, this is the one for you! 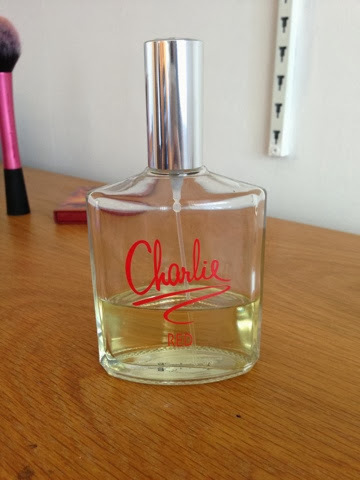 The last product is this Charlie red perfume. I got this a while ago but have been using it a lot recently. I absolutely adore the smell of this, it's a stronger version of the body spray, with this lovely elegant, musky smell. Surprisingly this perfume lasts a long time! 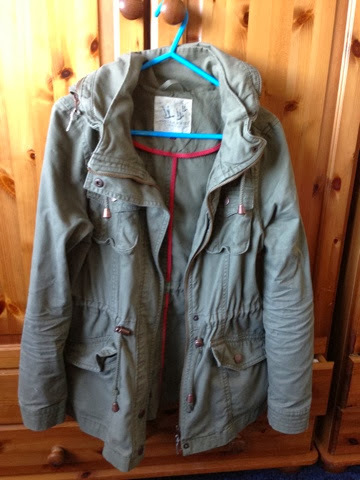 My fashion favourite of the month is this khaki jacket from new look. It's been a necessity this month with the weather getting chillier, meaning I needed something to just through on which isn't too heavy. Also khaki is a big autumn colour for me, I just love this coat, it's not too heavy and is very versatile. I love Charlie perfumes, Charlie Pink is my all time fave! 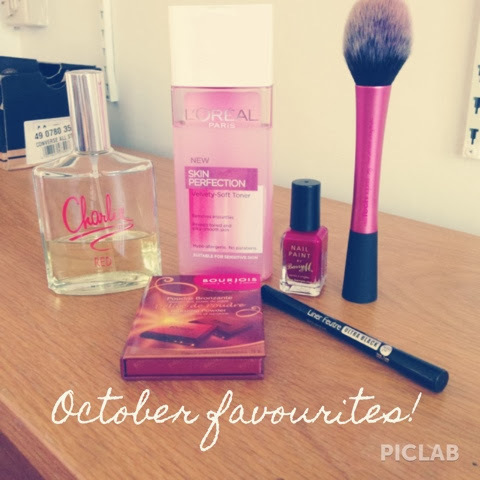 I love that nail varnish, amazing post! !